I'm trying to keep it together here. This sweet face is ONE and I just can't get over it. My niece and nephew and all the ones to come will forever hold a special place in my heart. 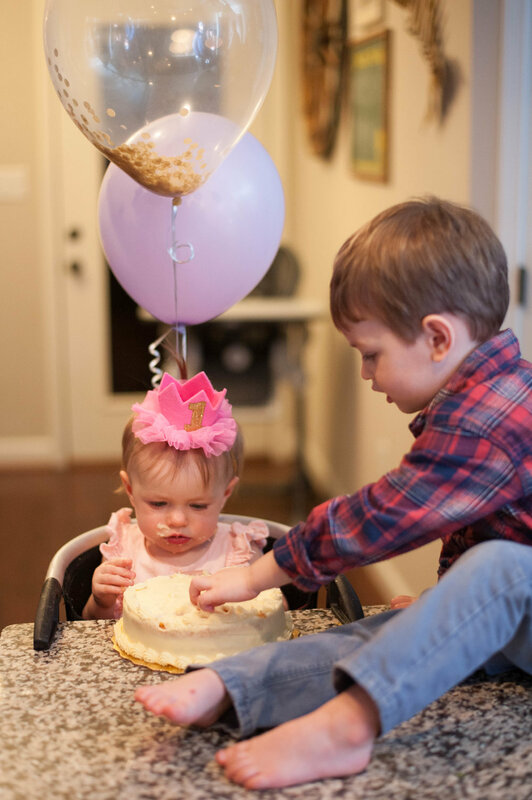 Davy Mac, you deserve the best and I am just so thankful to celebrate your life ... even if your big brother steals bites of your cake and opens all of your presents.